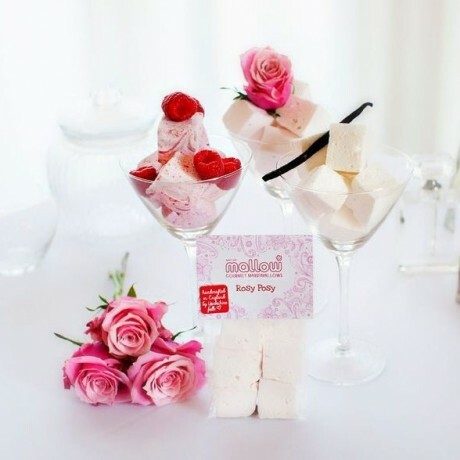 This is a romantic and delicately pink marshmallow beautifully flavoured with a natural rose extract. Gluten free, dairy free, fat free. Sugar, water, glucose, beef gelatine, natural rose extract, natural colour (beetroot), salt, cornflour.